Kathy began her career here at St. Richard Catholic School in the fall of 1995 as our librarian. 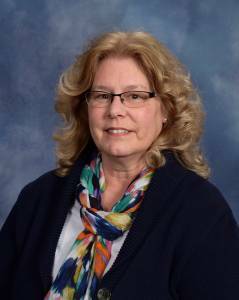 She is currently serving as school secretary and hot lunch coordinator. She resides in Swanton with her husband Steve of 36 years, they have 2 grown children. Kathy was baptized and confirmed a Lutheran converting to Catholicism in 1984 when their oldest was born. She enjoys reading, baking and creating cards.